Greetings My Land players! Decided to publish a nice little update today, adding a couple of new things and some new engine features carried over from the latest My Colony update. First, new stuff. I have added a new cheap Dirt Path if you want/need an absolute bottom dollar walking path for tourists early in the game. 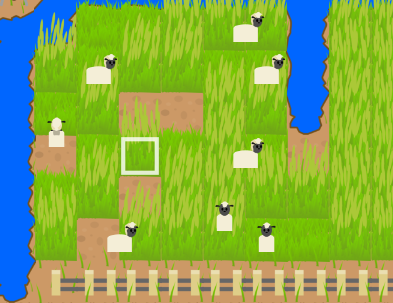 I have also added a new animal, the long requested Sheep! Sheep are managed similar to cows, but they grow a bit faster and are worth a bit less when you sell them. The main difference is that their baby lambs increase the attraction level of your land, as visitors love to show up and pet the baby lambs. 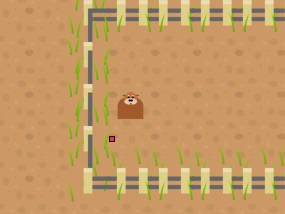 Secondly, animals that are getting close to starvation now show a little red square under them to let you know at a glance that they need food ASAP. Finally, similar to the little red square above, animals now also show a little green square when they have reached max value and are ready to sell. This should come in handy more than anything else. So that's all for this update. I will be pushing it out to all platforms over the next couple of days here. Feel free to leave more suggestions on things you want to see added to the game. Since My Land has become more popular over the last few months, I will try to update it at least once per month with new content. I have also been removing a lot of the hard-coding in the game, making it easier to publish content updates. And since My Land uses the same rendering engine as My Colony (which is under heavy ongoing development), it automatically gets to benefit from My Colony updates "free of charge." Anyway, enjoy the update! I remember my land was the first game of yours I encountered. Happy to see updates for it still. 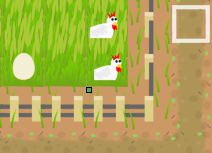 last time i played Chickens pretty much took over the land..with eggs everywhere.